Friday, April 12, 2019 - Men, you need to style up and observe personal hygiene. 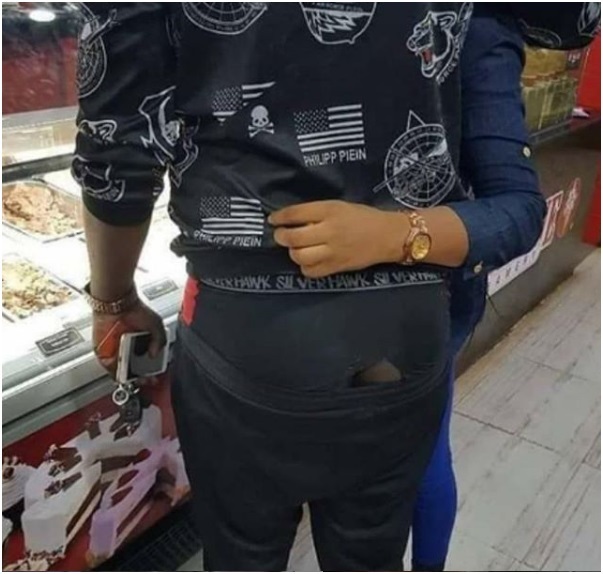 Some men will spend thousands of shillings on slay queens but they cannot afford to buy a decent underwear. See how this guy embarrassed himself after he accidentally exposed his torn underwear in a shopping mall. Pesa zimeishia kwa ma-slay queens.